Mogo, a Canada-based fintech firm, has launched what it describes as the country’s first prepaid digital spending account managed through a mobile app, reports Banking Technology‘s sister publication Paybefore. The debut of the Mogo Spending Account and the Mogo Platinum Prepaid Visa comes amid robust growth in prepaid transactions in Canada. The full-service GPR card is aimed at younger consumers, said Mogo, noting that, according to the Canadian Prepaid Providers Organisation (CPPO), the country has a CAD 3.1 billion ($2.3 billion) prepaid market. Consumers can open the Mogo digital account in “less than three minutes through Mogo’s” Apple mobile app, the company said. The account includes the Visa card that is enabled with chip-and-PIN technology and Visa’s payWave contactless payments. 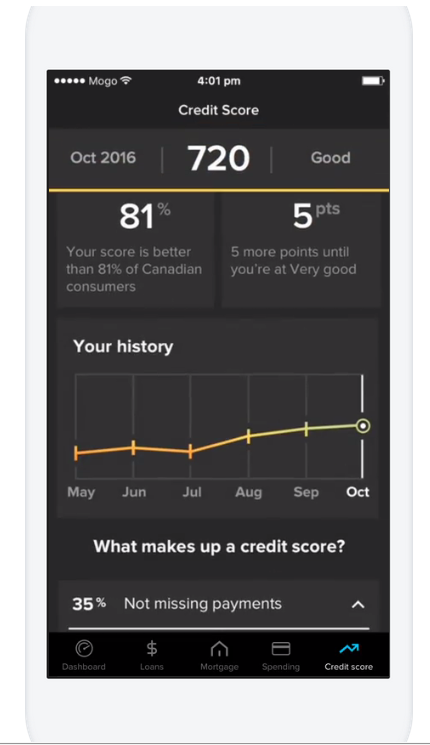 “MogoAccount users also have access to Mogo’s other products including free monthly credit score monitoring, mortgages and personal loans,” the company said. Contactless represents another growth area in Canada. Contactless payments increased year-over-year in 2015 by 70% in both volume and transaction amount, according to a report late last year from the Canadian Payments Association. Prepaid transactions, meanwhile, have experienced a 10% compound annual growth rate between 2009 and 2015, and a 9% compound annual growth rate in volume during that period, the payments association said. Still, in 2015, prepaid only accounted for a tiny fraction of the total payments made in Canada, just north of 1% of all transaction volume, the report said.